Investing in cannabis stocks became increasingly popular in the past two years. Canadian cannabis corporations, like Tilray and Aurora, were subject to incredible uptrends of close to 10,000 percent. As of now, most of the action seems to take place on the North American continent — where laws and rules are open towards both recreational and medical cannabis commerce. Nonetheless, most investors probably heard about Europe, which is incrementally warming up its cannabis industry. Since 2017, we have seen several major European economic powers legalising medical marijuana for its citizens, including Germany and the United Kingdom. With Luxembourg’s government announcing that it’s going to legalise recreational cannabis in the following years, the situation is starting to get gripping. Consequently, many investors are currently eyeing a move into the European cannabis market. The big question here is: in what should they invest? Due to the fact that there is currently only a medical cannabis market in Europe, the industry is obviously in its infancy at the moment. In order to sift out the most promising actors in the European market, we need to take a look at the suppliers of the current medical marijuana craze. Founded in 2017, Stenocare is working with the Danish legalisation program for medical cannabis to increase the quality of life for patients. The company held an IPO in late 2018, which makes it the world’s first European cannabis company to do so. The enterprise’s business includes importing and selling finished products to the Danish market via various distributors. Stenocare has approval from the Danish Medicine Agency to supply hospitals and pharmacies with medical cannabis extract products. The company plans on building a production facility to cultivate and manufacture their own finished medical marijuana products for patients in Denmark and Europe. Although the Wayland Group is technically registered in Canada, it may still be counted as at least partially a European firm due to its strong presence on the continent. It has subsidiaries in Switzerland and Germany, and, on top of that, it recently obtained a license for growing medical marijuana in Malta. Further footprints can also be found in the United Kingdom and Italy. According to its website, Wayland has a full portfolio of medical and non-medical cannabis brands for both new and experienced cannabis patients and consumers. The Deutsche Cannabis AG (engl. German Cannabis Corp.) is a European cannabis stock that raised funding in 2015 and is listed at the Frankfurt Stock Exchange. However, the history of the Deutsche Cannabis AG appears quite suspicious, to say the least. The origins of the company can be traced to 1999, where it was originally founded as the F.A.M.E. AG. Back then, the company was involved in the entertainment industry. In the course of the past 20 years, it participated in the dotcom boom and went almost bankrupt two times. Since it has rebranded to the Deutsche Cannabis AG in 2014, it has invested in four German cannabis companies, including CannyPets, CannaSports, MediCann and Mister Cannabis. These firms all appear to be small to medium-sized businesses, which is why investors should be extremely cautious when thinking about buying shares of Deutsche Cannabis AG. And that sums it up. That was actually everything that the European continent has to offer at the moment. Yet, there are several other corporations outside of Europe that are heavily involved in the European cannabis market. Let’s see what the major players look like. Aurora Cannabis is one of the names that is tied to the current cannabis stock market boom for many stock investors. While the corporation is already dominating wide parts of the Canadian market, it has already been shipping medical marijuana to several European countries, such as Germany, since 2017. During early 2018, Aurora Cannabis eventually signed off a deal with a Danish company to build a medical cannabis growing facility in Denmark during the second half of the year. According to a recent press release, the company expects the growing facility to have the first cannabis products that are ready to ship to Denmark and countries of the EU by the end of March 2019. While this facility is only able to supply about 8,000 kg of cannabis per year, Aurora already has plans to drastically increase this number. With their second production facility, Aurora Nordic 2, the company aims to increase this number by an additional 100,000 kg per year. Tilray, similarly to Aurora, has appeared in the headlines numerous times for being one of the most successful cannabis corporations in Canada. Besides, the company was also involved in supplying Germany with cannabis products after its legalisation of medical marijuana in 2017. Tilray already has a production facility in Portugal, where the company expects its first harvests to be ready by Summer 2019. 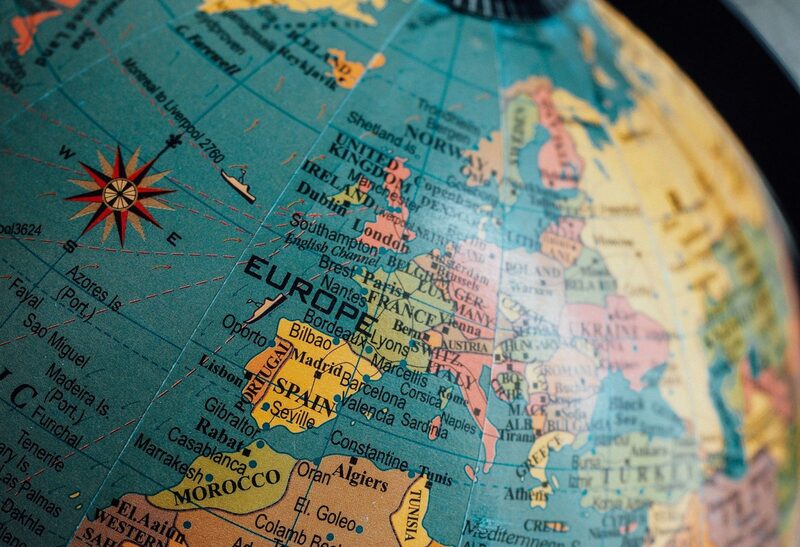 In its full-year report of 2018, Tilray announced that it will increase its focus on the European market in the following years. As a third large-scale Canadian cannabis producer, Aphria Inc. has been a leading figure on the legal cannabis market since 2017. However, the company was also subject to a controversy in December 2018, where it was accused of acquiring worthless companies. In November 2018, Aphria disclosed their acquisition of CC Pharma, one of the biggest medical distributors in Germany. The newly merged company will be creating a division dedicated solely to the production of medical cannabis in Germany. Aphria announced that it will build an indoor growing facility in the city of Neumunster, as well as a cannabis storage facility with the latest technological advancements in Bad Bramstedt. Since Germany is currently the biggest market in Europe for medicinal cannabis, Aphria can definitely be expected to maintain a pole position in the European market. As you can see, the cannabis market in Europe is slowly heating up. Are you thinking about investing in European cannabis corporations? Let us know in the comments. Hemp Protein - Best Vegan Protein Source?